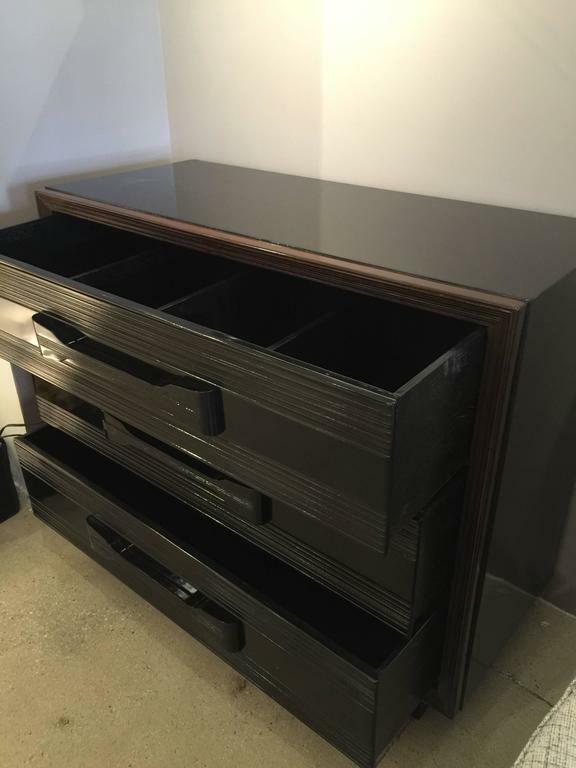 Three large drawers (top one with removable dividers) with Art Deco streamlined design and finished with piano quality lacquer black with deep mahogany brown trim. These are a pair. 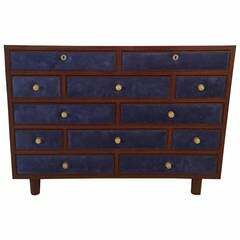 Rare 12 drawers clad with vibrant and rich Midnight Blue suede, -newly replaced Suede - all original hardware (gold-plated pulls). Polished mahogany base. Just breathtaking. 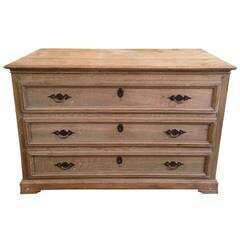 Found straight out of a Provence home, this amazing and large 19th century chest of drawers is a statement piece. 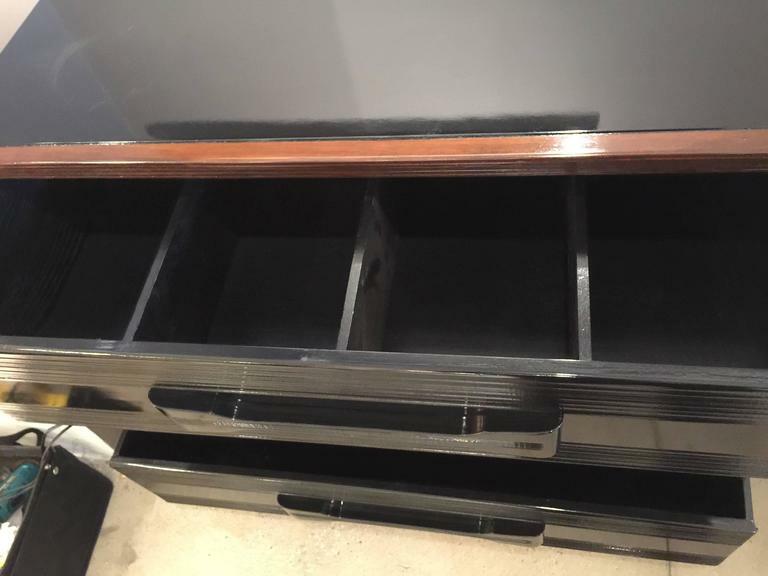 Three large and deep drawers with all original hardware. 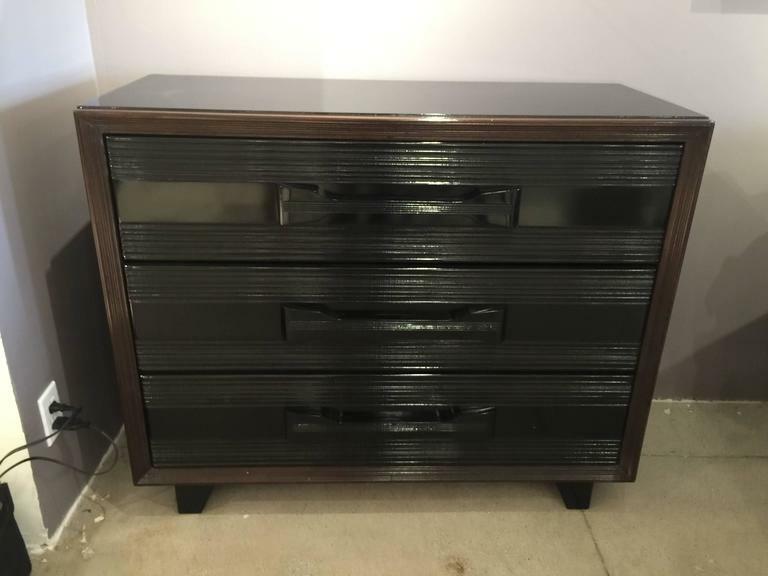 Beautiful tapered brass legs on this well-proportioned masculine dresser with three drawers. Very much in spirit of Gio Ponti. 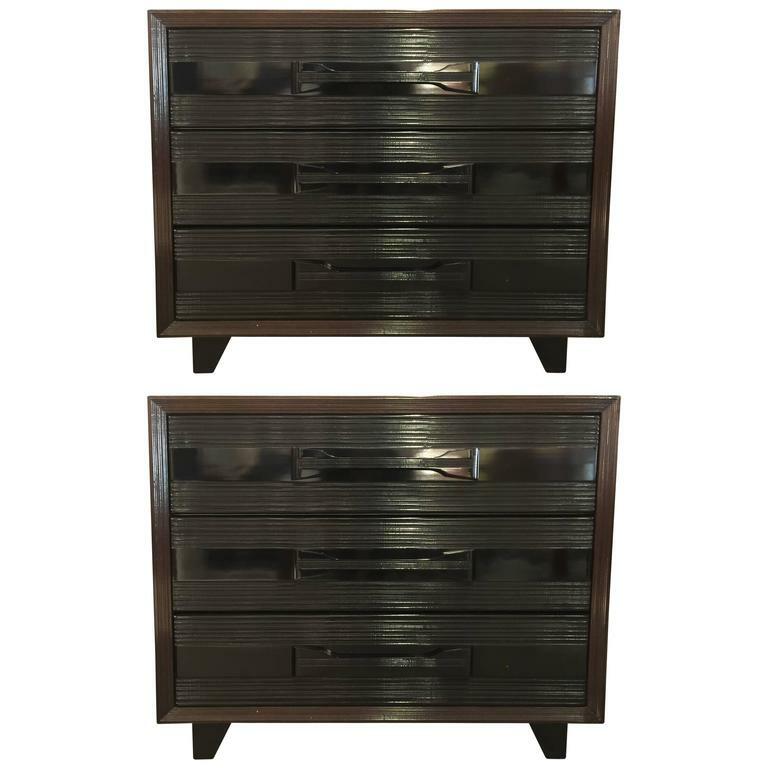 Features three drawers with Art Deco inlay designs and solid brass pulls.